The Pearl of the Carpathians! In a breathtaking mountain landscape, stands this wonderful village with picturesque architecture. 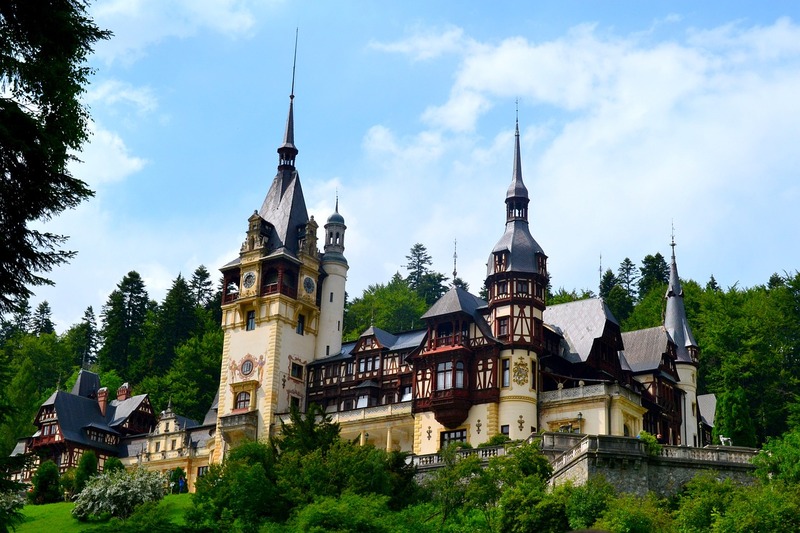 Sinaia is one of the obligatory stops for a tour in Transylvania, south of Brasov, from which it is just about 50 km. The city is located along the spectacular and picturesque stretch of the Prahova valley, one of the most beautiful of all the Carpathians, east of the Bucegi Mountains, following the course of the river of the same name between mountains and pine forests. In the background of Mount Sinai, Charles I of Romania built his summer residence in the 19th century, Peles Castelul; the building, with the Sinaia Monastery, from which the city would have been named, is one of the most beautiful cultural sites in the area. The best way to reach Sinaia, is to use the plane to Bucharest, and from the Capital, travel by car, or alternatively by train. Bucharest's Henri Coanda Airport, also known as Otopeni, is well connected to major European destinations. Numerous companies connect Bucharest with the major capitals, including Amsterdam, Berlin, London, Madrid, Rome and Paris. Through our official link, all companies and direct connections to the Henri Coanda Bucharest airport. Leaving the airport, the recommended vehicle is the car. You can rent one on site: there are several agencies in the structure. We recommend booking online in advance. If you prefer to use only the means, you can reach Sinaia, by train. From the airport you must first reach the Central Railway Station: it is possible to do it by bus Express 780 or with the recommended Train Henri Coanda Express, which is taken in Balotesti, about 700metri from the airport. From here, the train that arrives at the Bucharest Gara de Nord station leaves in about an hour. The ticket costs 6.80LEI. From Bucharest Gara de Nord trains depart connecting Sinaia in about 90 minutes. For all the information on the Romanian railways regarding timetables, itineraries and updates, we refer to the official website of the company CFR.